We are committed to cultivating a performance-driven culture that rewards results. Our core team has developed great expertise in design, development and manufacturing of automobiles with the help of our global partners. We focus on developing high quality, high utility products through superior product design, state-of-the-art production engineering, hi-tech manufacturing and innovative marketing. 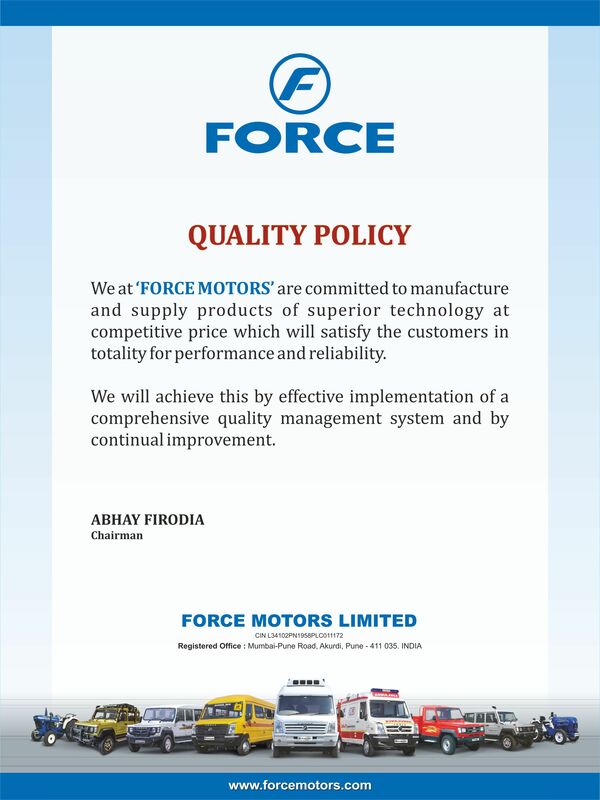 Force Motors has always strived to provide products and services of the highest quality at competitive prices. 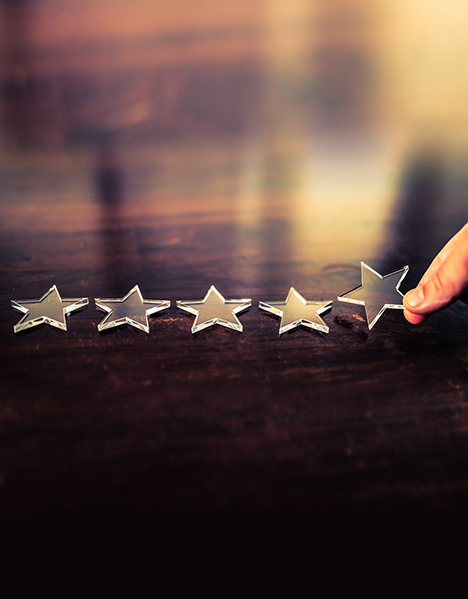 This it does by implementing a comprehensive quality management system that focuses on continually improving the effectiveness of its operations. 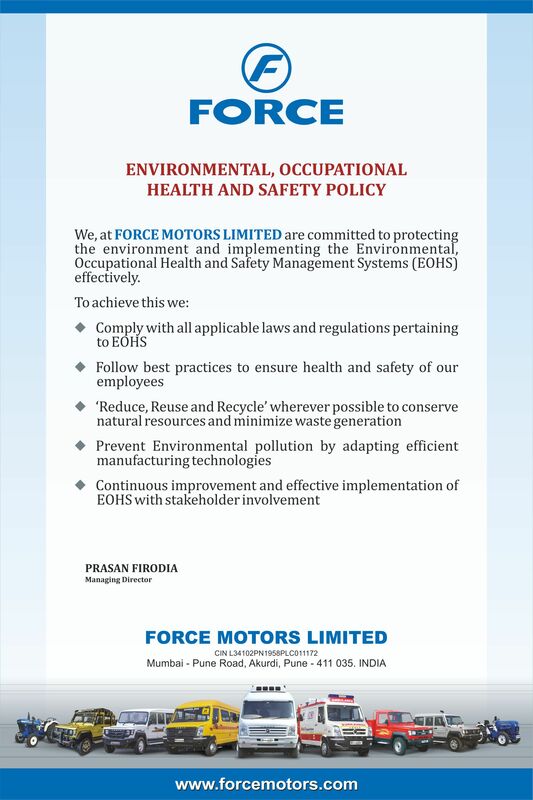 All plants of Force Motors Ltd. are certified compliant to the ISO 14001 Environmental Management System, TS 16949 standards and the OHSAS 18001 Occupational Health and Safety certification requirements. 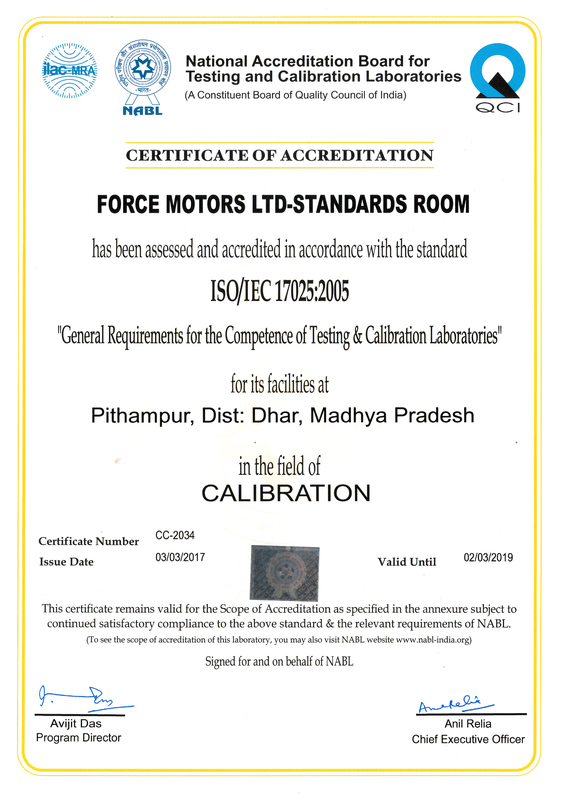 The Material Testing Laboratory and Standards Room at Pithampur has qualified for National Accreditation Board for Testing and Calibration Laboratories (NABL). 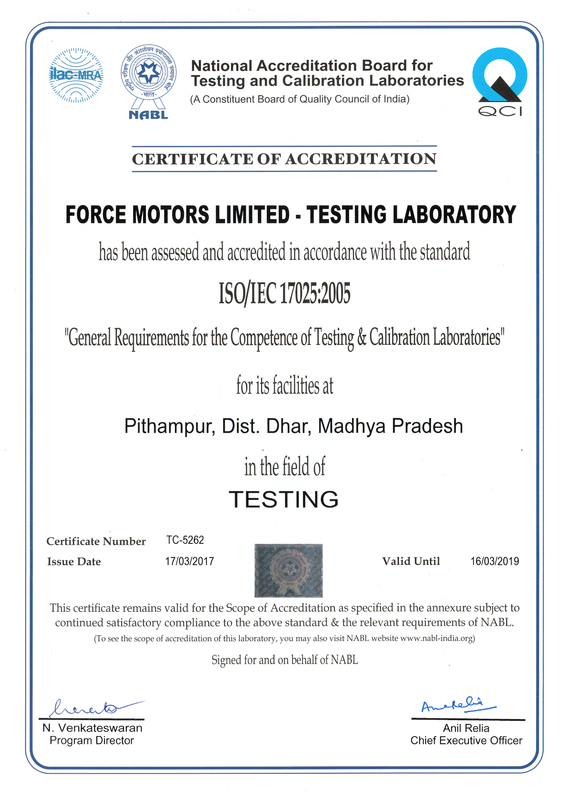 Force Motors is one of the first three OEMs to achieve the NABL Accreditation. It is a reflection on the reliability of testing equipment and calibration results. 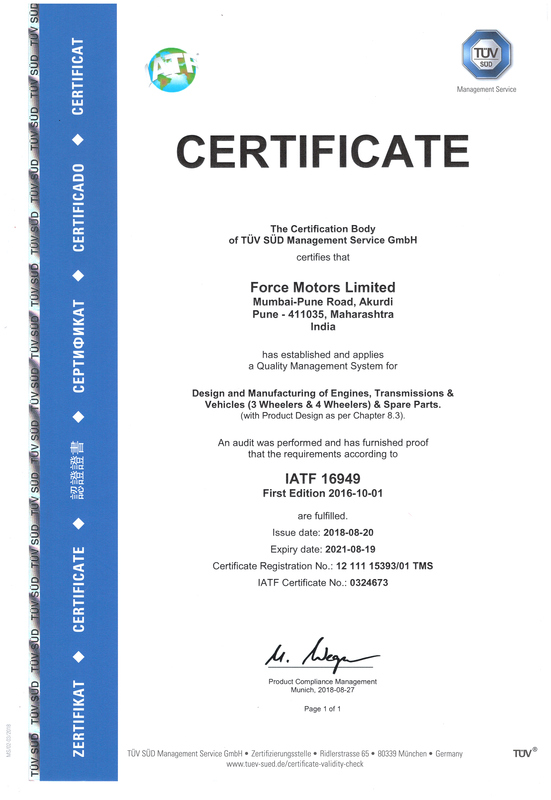 Force Motors produces high performance and premium quality engines and axles for Mercedes Benz India and BMW-India. 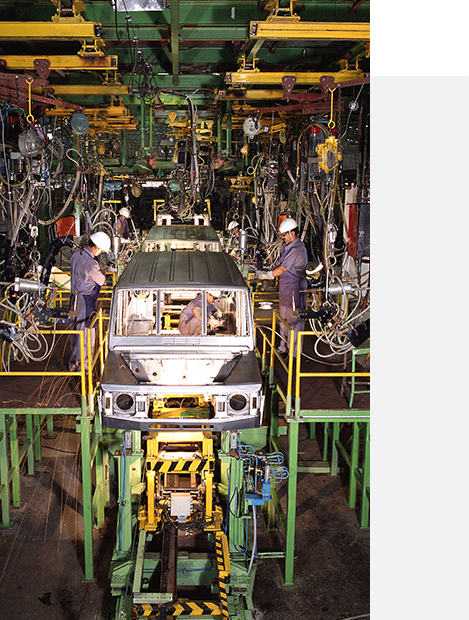 Till date, Force Motors has supplied over 87,000 engines and over 73,000 axles for Mercedes Benz India. This portfolio has grown to include the front and rear axles of the C, E, S class passenger cars and GL Class SUVs. This includes the 4 cylinder gasoline and diesel engines, 6 cylinder V-type gasoline and diesel engines, powering the complete range of Cars and SUVs made by Mercedes Benz India. In 2015, BMW assigned Force Motors to produce and test the engines for all cars and SUVs to be made in India. 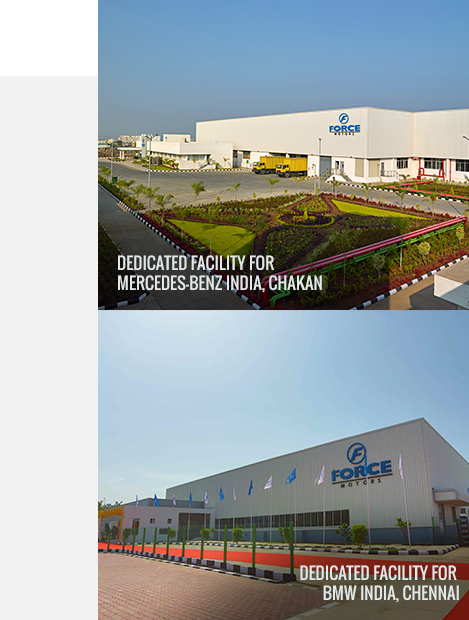 Force Motors set up a dedicated state of the art facility in Chennai close to the BMW factory to produce and supply engines for their 3, 5, 7, GT series cars and X1, X3, X5 series SUVs made in India. 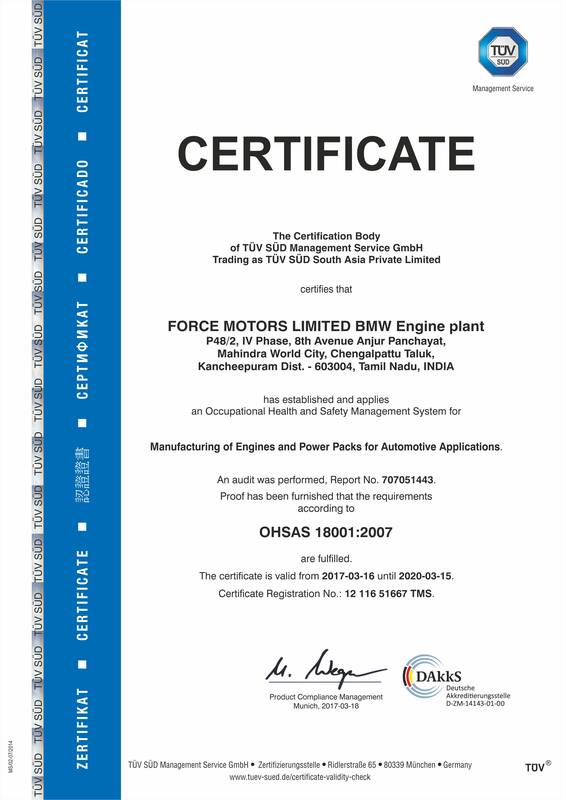 Till date Force Motors has supplied over 23,000 engines to BMW. Force Motors encourages innovation and motivates its expert design engineers to develop novel product designs for our most modern vehicles. The new range of our products including the Traveller 26, the largest monocoque van in the world, the multi utility vehicle Trax- India’s first indigenously developed rough road vehicle, Balwan and Orchard range of agricultural tractors, Force Gurkha range of extreme off-roaders have been fully engineered and developed in-house by our 1000 engineers and strong design and development team. An elaborate and state-of-the-art tool room with the latest high-precision and versatile machinery has been created solely for proficient engineering. 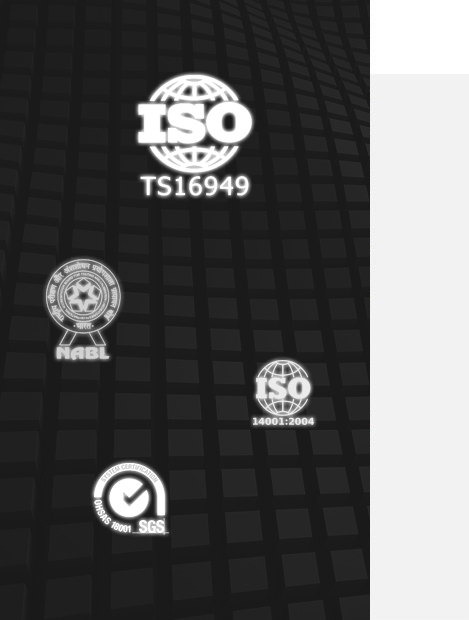 It uses the most advanced and state-of-the-art engineering software for this purpose. Our Tooling Division now offers expertise gained over the years to provide end-to-end solutions (design to manufacturing) for tooling requirements of automotive majors like Mahindra, Ford, MAN, AMW etc. Our Research & Development centre at Akurdi, Pune is considered among the most advanced in the automotive research and development facilities in the country. Force Motors encourages innovation and motivates its 500 strong design team to create path breaking automotive designs. Huge investments in equipment, facilities and manpower are already in place to complete the development of BSVI compliant engines before 2020 deadline. 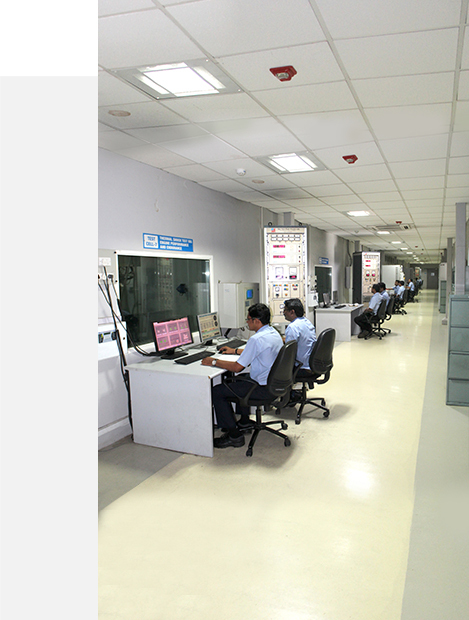 The R&D facility includes hardware, software, verification and validation, and test facilities which are utilized during the complete product development cycle from Concept to Start of Production (SOP). The process includes creative vehicles styling and design by our CAE team, well-equipped with the most advanced software. Every new vehicle is run though durability test lab, engine test lab and driveline test setups before it hits the road. Apart from test labs Force Motors has in-house torture track (Pave Track) for complete vehicle durability testing. The famous Mercedes OM-616 engine made under license has been further developed with Force Motors' own R & D and with assistance from M/s. Ricardo of UK and M/s. AVL of Austria. 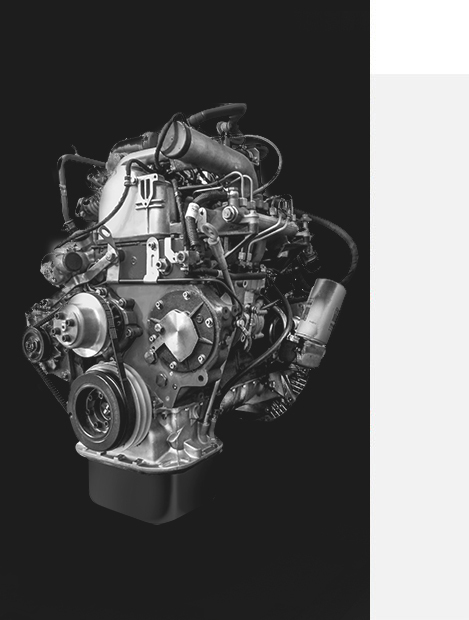 This association helped to develop a large and modern range of Common Rail Direct injection, turbocharged intercooled automotive and agricultural tractor engines. The critical components such as the complex cylinder blocks and high precision cylinder heads etc. 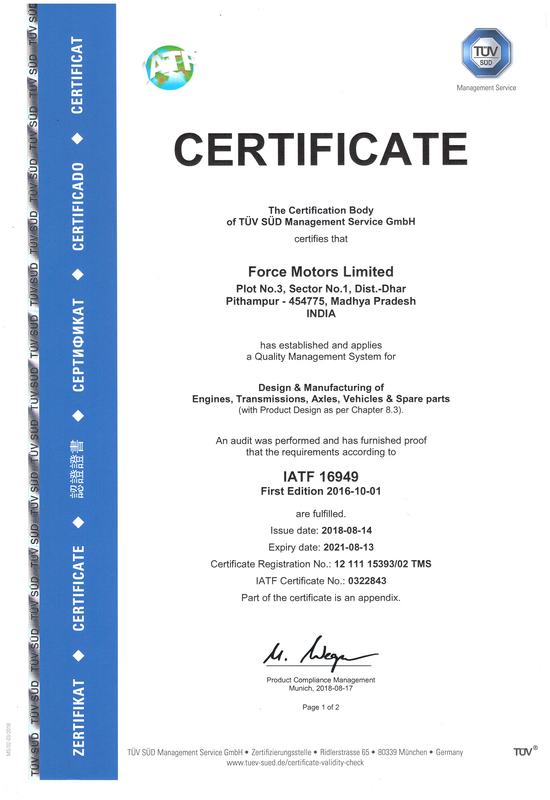 are made in Force Motors' own foundry. These are machined using elaborate and modern mass production methods - both transfer lines and Computer Numerical Controlled (CNC) flexible machining systems. Mercedes's standard precision and durability is built into these reliable and modern engines.